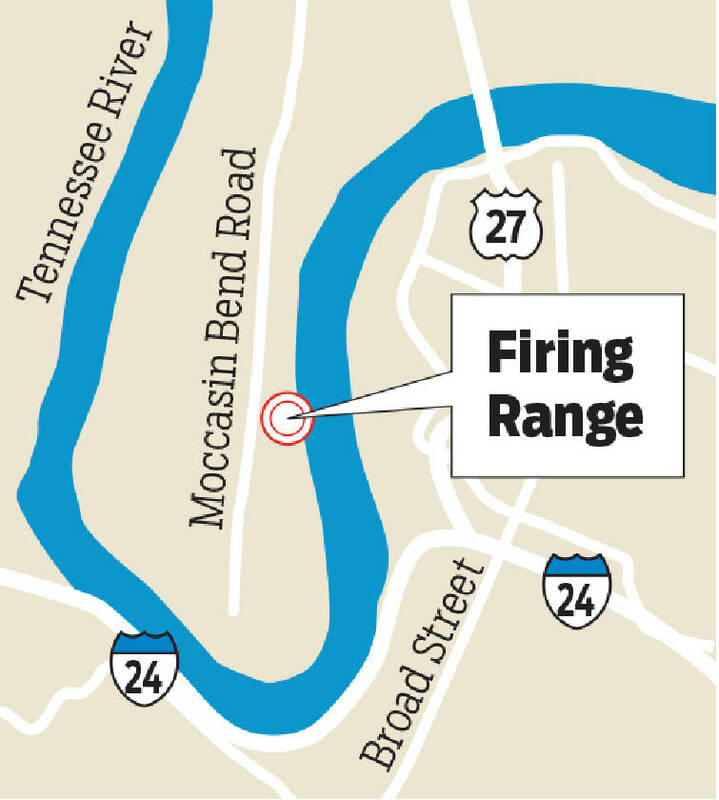 The Moccasin Bend firing range could finally be on the move after a Thursday announcement that a committee has been formed — again — to investigate potential locations. Where the range should be has been a contested issue in Hamilton County since the city donated 750 acres of land in 2003 to the National Park Service. Inside that land was a 33-acre firing range for Chattanooga Police Department and Hamilton County Sheriff's Office deputies. "I know there was initial momentum to move the firing range then," said Brad Bennett, the superintendent of Chickamauga and Chattanooga National Military Park and a member of the committee. But that never happened, and after years of the firing range staying put, a committee was formed a couple of years ago and a new location on East 12th Street was picked. But that plan was abandoned when the budget doubled from what was originally expected, the city said in a news release. The goal of this 15-member committee: investigate potential relocation sites for the firing range and examine potential funding sources to expedite the relocation process. "We're getting back on track," said Hamilton County Sheriff Jim Hammond, also a committee member. He said he thinks many of the committee members served on the previous panel. No timetable was given for the panel to identify a new location, but it will have an initial meeting soon. Bennett was pleased at the news. "That's not the typical experience people expect to hear when going through a national park," Bennett said of the shooting range and its current location. "The indecision about the firing range has been tough to plan around." So 12 years after the land was made federal property, why is the process starting up again? The park has a plan of what to do with the land, said Michael Wurzel, executive director of the Friends of Moccasin Bend National Park and a member of the committee. The group is taking public comment on four different designs for the land, and the end result will be a "mash" of all the different designs, Wurzel said. "It wasn't a priority for the city and the county to get done," he said. But the organization communicated with the city that it was serious about the plans, and Wurzel said that's why the city responded with the announcement of this latest committee. SWAT team members shoot at targets during firing practice at the police firing range off of Moccasin Bend Road. Like Bennett, Wurzel called the firing range "incompatible" with the national park. He also pointed out there's a $100 million development being built across the river. Things like that are why Hammond thinks the conversation is being struck up again. "There's a lot of pressure on the federal government to develop that [land] for the tourist dollars that'll come from it," he said. Hammond said one of the biggest hurdles in building a new firing range is the cost. A new firing range will cost anywhere from $5-$10 million to build, he said, and before the land can be handed over to the national park, it has to be cleaned of the decades of lead that's been shot into it. "The federal government cannot accept land that is dirty," Bennett said. As for the new range, Hammond said he would prefer an indoor/outdoor range. 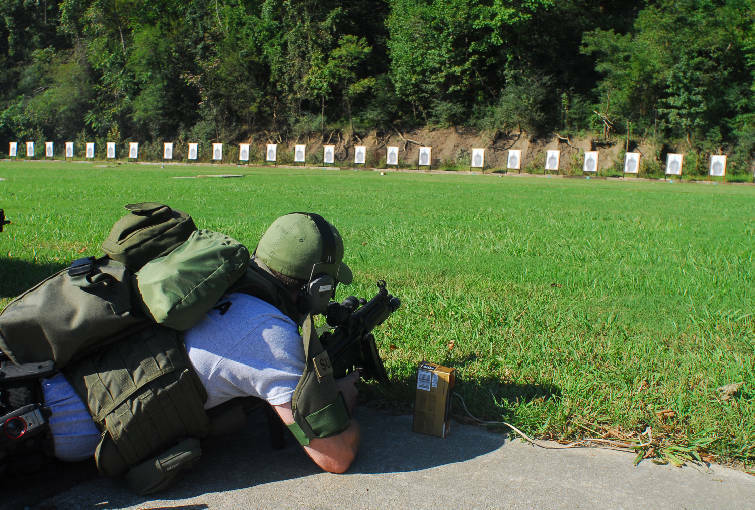 That way officers could practice regardless of weather or time of day for indoor training, but still have an outdoor facility for long-range rifle practice. It's tough to find a location, though. People don't want to live near constant gunshots. "It's almost like building a jail," he said. Contact staff writer Evan Hoopfer at ehoopfer@timesfreepress.com, @EvanHoopfer on Twitter or 423-757-6731.